“The Killing Zone” is the header for a new slate of comic books and one of Geoff Johns’ new publishing projects. The pop-up imprint will focus on new and lesser-known DC characters and titles. Johns, who has played a major role in building DC’s television presence (including work on The Flash and Gotham), is leaving his role as President and Chief Creative Officer of DC Entertainment to embrace the role of a creative full-time. He is launching Mad Ghost Productions and entering an exclusive writer/producer deal with Warner Bros. and DC Entertainment. 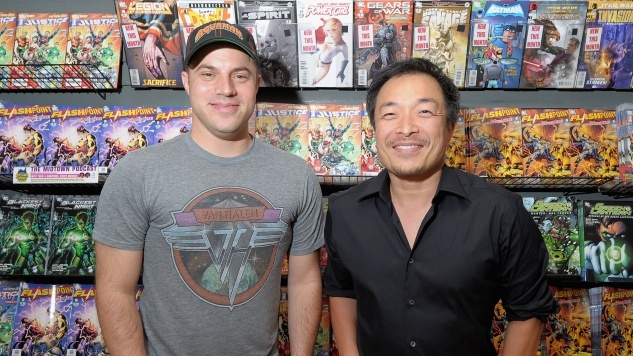 Meanwhile, DC Entertainment Publisher Jim Lee will absorb Johns’ CCO responsibilities and title while continuing to act as Publisher alongside Dan DiDio. Johns’ work will, however, not be limited to new characters, as he will continue to work on the colliding DC and Watchmen universes in Doomsday Clock, the series illustrated by Gary Frank, with whom Paste recently spoke about his art. Johns will also be writing a Shazam! series that is due out in the fall, along with the forthcoming, Jason Fabok-illustrated Three Jokers. As if all that weren’t plenty, Johns will be returning to the world of Green Lantern, a character he revamped into a New York Times bestseller, to write and produce Warner Bros. Pictures’ film Green Lantern Corps.